Last week we did visit Chewa Natural Herbal OTOP in Ban Namkian, about 8km east of Nan town. 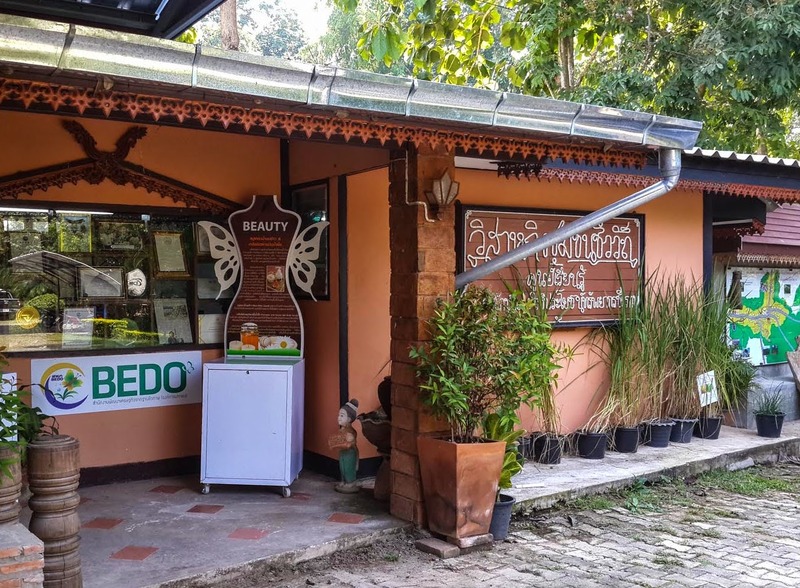 When staying in a hotel in Nan you might see their products in your bathroom, shampoo and soap made from natural herbal products. Made at the OTOP shop in Namkian. OTOP stands for "One Tambon, One Product", where tambon is the local district. This is a slogan introduced many years ago to promote local products. Like the natural herbal products grown & made by local people from Ban Namkian. For more information about the beautiful Nan province in North Thailand see Destination Travel Guide Nan - Thailand.